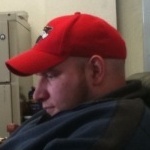 Aaron Brant is an excellent addition to our BlogSavy team. He is currently attending Valdosta State University pursueing degree’s in Marketing & International Business with an emphasis on Foreign Internet Sales. When not blogging about the things he’s passionate about or in school; Aaron enjoys golfing, the Blue Man Group, MMA training and traveling. He’s happily married with 2 children so all you ladies out there looking for a cuddle bunny you are out of luck. He is off the market. His goals for Blogsavy is to create interesting and informational blogs that not only help but enrich the people who read them.